Perseverance is perhaps the best word to describe Brad Knighton. Everywhere he’s been Brad has had to contend for a starting spot and despite performing well, circumstances have sent him elsewhere. He's played in for the New England Revolution, Philadelphia Union and now Knighton plays for the NASL leading Carolina Railhawks and is proving day in and day out that he is a top notch goalkeeper. Knighton played his collegiate soccer back in Carolina at UNC-Wilmington. After graduation in Brad attended a tryout with the New England Revolution in early 2007 and through that tryout earned an invitation to go on trial with the team during its preseason training. Ultimately the trial proved fruitful and he found himself on the roster with a development contract. Achieving this feat made him the first player from his University to be with Major League Soccer. 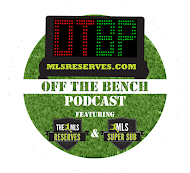 Playing time was hard to find though as Matt Reis was firmly entrenched as the Revolution’s number 1. After a year of being number 3 in the list of goalkeepers and in an effort to gain experience, Knighton was loaned to the (USL) Portland Timbers midway through the 2008 season. After winning the number two spot from then backup Doug Warren, Matt Reis went down with injuring. In Knighton’s third year with New England, he found himself starting. He showed well and felt like he’d earned his spot on the roster. However, in 2009 the Philadelphia Union were selecting players during their Expansion Draft and Brad was left unprotected. The Union chose him and off he went. In fact, it was the day before preseason started when Brad Knighton found out he was going to be waived. And so again Knighton found himself released. 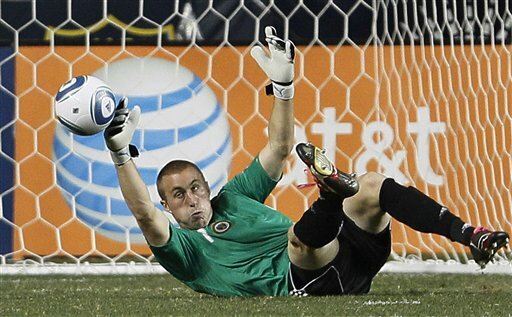 In January of 2011, Philadelphia waived the goalkeeper. It was then the Carolina Railhawks of the North American Soccer League that gave Knighton a chance to return to his home state. There he has become firmly secured in the number one goalkeeping role. Carolina have been on a tear throughout the first part of their season and it’s due in no small part to the heroics of Brad Knighton. The team went on a ten game win streak and 13 game unbeaten run. I asked Brad very directly if he came to Carolina feeling hard done by MLS and if he perhaps had a chip on his shoulder, his response was unquestionably: yes. “Obviously you want to play at the highest level possible and for the US, MLS is that.” He did not mince words about his desire to get back and he uses that as motivation. Well if that is the case, Carolina fans are just fine with it because he has been stalwart throughout the entire season. Currently at the midway point, Knighton holds a goals against average of .86 and at the time of this writing, secured 5 shutouts. The team is currently 12-2-2. Pretty impressive. Make no mistake though, while he does want to return to MLS, he’s enjoying his time in Carolina. With that much of his future known, or perhaps unknown, I asked what Brad’s future goals were. Mainly, did he want to return to Major League Soccer. Again: yes. With so many teams in turmoil and with him playing well, the obvious question whether or not Knighton had been contacted by MLS. At present the answer was no, or nothing serious. In what might be the best move mentally, Brad leaves those things up to his agent so that he can focus on soccer. Good news for Carolina fans, but it seems strange that with such a talent for commanding the box and putting up such impressive numbers, combined with several teams struggling in goal, that Knighton has not been directly contacted or even queried. Still, for a player as motivated as Brad Knighton is, the future looks bright.